To provide evidence-based guidance to primary care clinicians about how to best assess and treat patients with neck pain. There is a need to translate the results of clinical and epidemiologic studies into meaningful and practical information for clinicians. 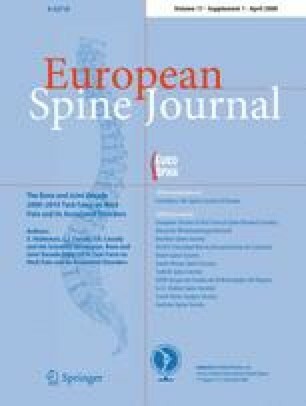 Based on best evidence syntheses of published studies on the risk, prognosis, assessment, and management of people with neck pain and its associated disorders, plus additional research projects and focused literature reviews reported in this supplement, the 12member multidisciplinary Scientific Secretariat of the Neck Pain Task Force followed a 4-step approach to develop practical guidance for clinicians. The Neck Pain Task Force recommends that people seeking care for neck pain should be triaged into 4 groups: Grade I neck pain with no signs of major pathology and no or little interference with daily activities; Grade II neck pain with no signs of major pathology, but interference with daily activities; Grade III neck pain with neurologic signs of nerve compression; Grade IV neck pain with signs of major pathology. In the emergency room after blunt trauma to the neck, triage should be based on the NEXUS criteria or the Canadian C-spine rule. Those with a high risk of fracture should be further investigated with plain radiographs and/or CT-scan. In ambulatory primary care, triage should be based on history and physical examination alone, including screening for red flags and neurologic examination for signs of radiculopathy. Exercises and mobilization have been shown to provide some degree of short-term relief of Grade I or Grade II neck pain after a motor vehicle collision. Exercises, mobilization, manipulation, analgesics, acupuncture, and low-level laser have been shown to provide some degree of short-term relief of Grade I or Grade II neck pain without trauma. Those with confirmed Grade III and severe persistent radicular symptoms might benefit from corticosteroid injections or surgery. Those with confirmed Grade IV neck pain require management specific to the diagnosed pathology. The best available evidence suggests initial assessment for neck pain should focus on triage into 4grades, and those with common neck pain (Grade I and Grade II) might be offered the listed noninvasive treatments if short-term relief is desired. Corporate/Industry, Foundation, and Professional Organizational funds were received in support of this work. No benefits in any form have been or will be received from a commercial party related directly or indirectly to the subject of this manuscript.